We support our industries and their associations to be today and in the future one of the most sucessful and innovative supplier industries in the world. We are the European information network for the Power Transmission Industry. 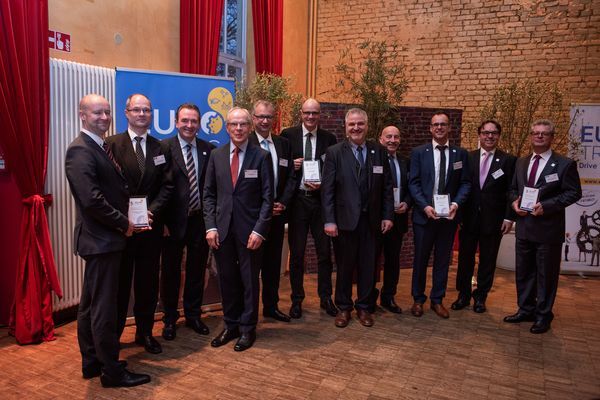 The 50th Anniversary Celebration was followed by the 5th International Drive Technology Meeting on 31th March with interesting speeches from industry experts covering the topics of global economy, European trade as well as AI and automated driving. Both events took place before the IAMD Hanover, 1-5 April 2019. The Swiss Association SWISSMEM is once again organizing its successful EUROTRANS Gear Training in German language. Modularisation and networking of drive machines, new legal regulations and standards as well as increasing demands on reliability, efficiency, noise behaviour and functional diversity place rapidly changing demands on drive components, especially on gearboxes. SWISSMENM will therefore be organizing a German-language version of the EUROTRANS "Gear Training" on 9/10 May. In this 2-day seminar you will gain a broad overview of the current state of gear technology. Take this opportunity and register by 15 April 2019. Here you find the program as well as further information on registration/costs/travel and accommodation. VDMA being co-organiser of the event provided some information. The world language of the machines is under development and with the help of OPC UA it will be implemented! Would you like to get to know the industries and members of the standardization groups personally? More than 30 worldwide active OPC UA working groups introduce themselves. Talk to the speakers of the working groups. Understand the motivation of the companies as well as the background and learn today about the standards for cross-manufacturer communication of the future. The conference is organized by VDMA together with the OPC Foundation, FieldCommGroup and Deutsche Messe AG. 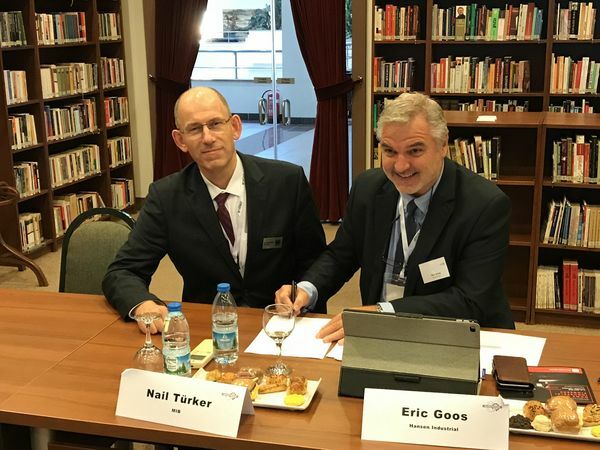 At the EUROTRANS Board Meeting in Istanbul on 2nd October 2018 by kind invitation of the ASSOCIATION OF TURKISH MACHINE MANUFACTURERS (MIB), Nail Türker (General secretary of MIB) and Eric Goos (president of EUROTRANS) sign the membership contract with EUROTRANS during the machinetool show MATEK. Both emphasized the importance of deepening the networking activities between the Turkish Industry and EUROTRANS for a successful future. European drive technology well prepared for the challenge of digitalization! EUROTRANS Gears Training: module on "Geometry and Design"
EUROTRANS is now on LinkedIn, the world's largest professional network. Follow us and keep up to date with current events and news! FLYER European Drive Technology Conference 2018 now available! 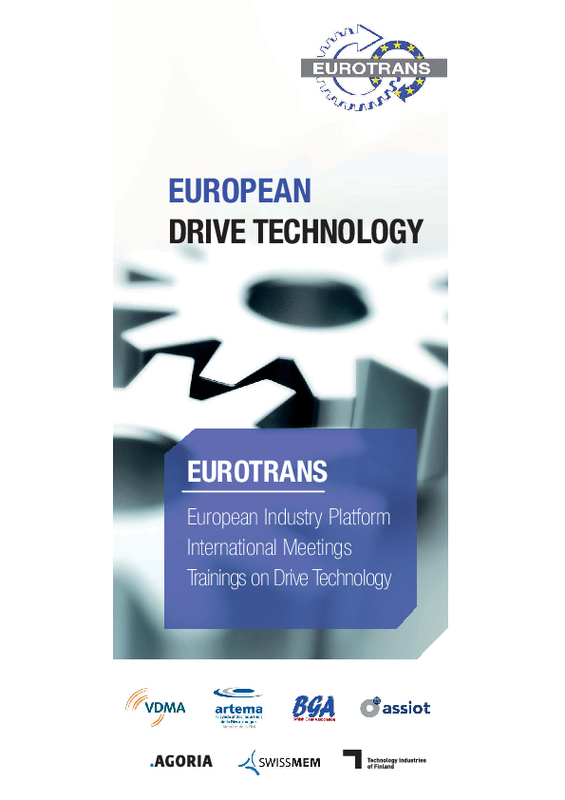 The flyer for the European Drive Technology Conference 2018 is now available and can be downloaded here. Interested to improve your knowledge on quality and failure of gears? Save the date and preregister now for the upcoming EUROTRANS Gears Training in Newcastle University from 11 till 15 June 2018! Edegem, 4th January 2018: The Grand opening of the Global R&D Centre for gearbox of Sumitomo Drive Technologies (SHI) in Edegem/Belgium on 4th January 2018 marks the start of the 95 years celebration of Hansen Industrial Transmission N.V.
Shaun Dean (Vice-President Sumitomo Drive Technologies) and the management team from Japan celebrated the opening of the new Global R&D Centre. The opening is a clear signal for the continued commitment and trust of SHI in Europe as a globally attractive production place. Interview Eric Goos "Driven by Digitalization"